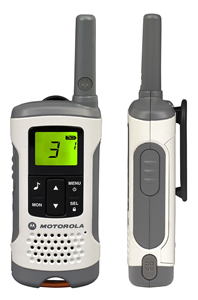 The Motorola TLKR T50 2-Way Radios received the prestigious Reddot design award in recognition of their style, and offer performance to match with a range of up to 6km, and LCD display. 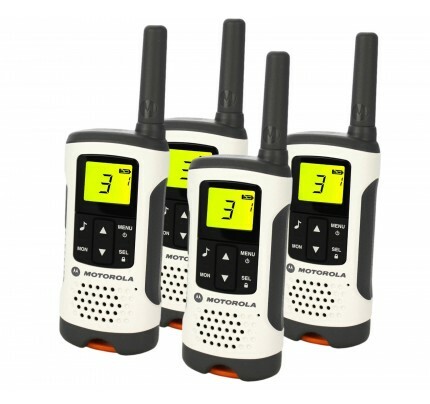 Ideal for any number of outdoor pursuits, the TLKR T50 will help you stay connected on camping trips, skiing holidays, family outings and more. 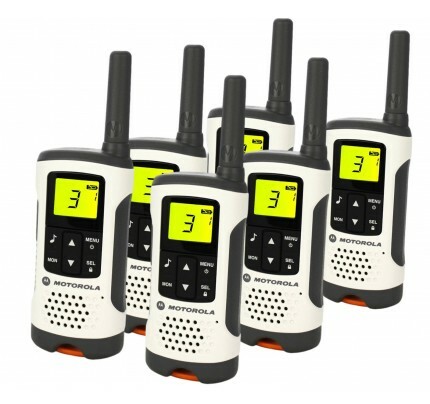 The TLKR T50 are PMR446 radios, therefore are license free Walkie Talkies meaning they do not require any contracts and are not subject to any additional charges for use. In addition to the long range and clear display, each handset benefits from: a belt-clip (for easy transportation; a total of 8 channels and 121 codes (for more than 900 different combinations) to ensure privacy and security; and an impressive battery life of up to 16 hours. 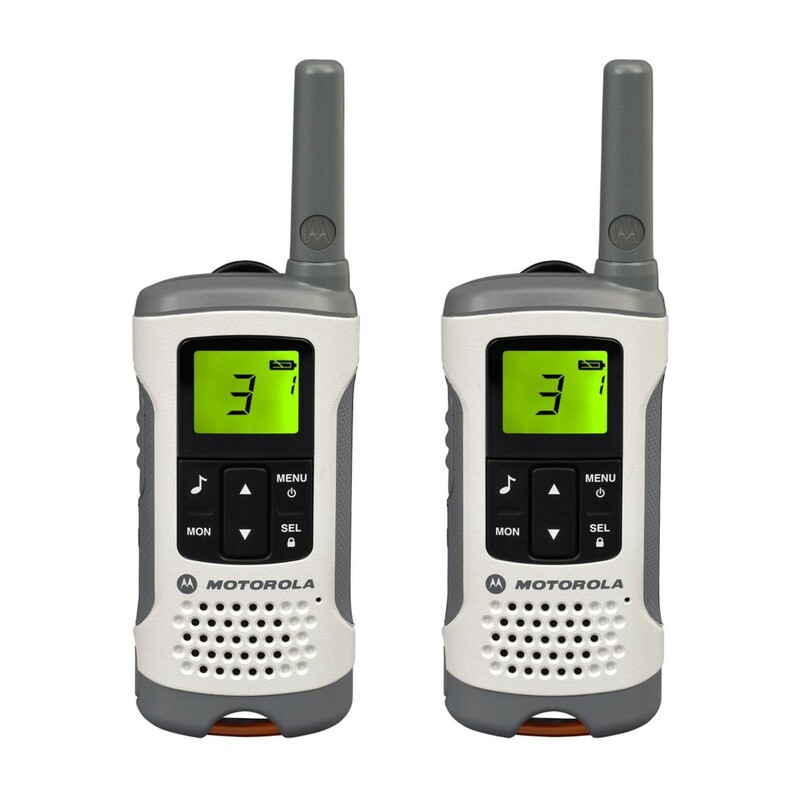 If you’re looking for the ideal set of Walkie Talkies to take with you on holiday or an outdoor trip, the Motorola TLKR T50 are as reliable and stylish as they come. Bought them for a family holiday & was not disappointed with the quality. Good range, clear sound, decent battery life. And confident that when we take them out again they\'ll work just as well as they feel better made than ones we\'ve used before and had to replace. Very good. 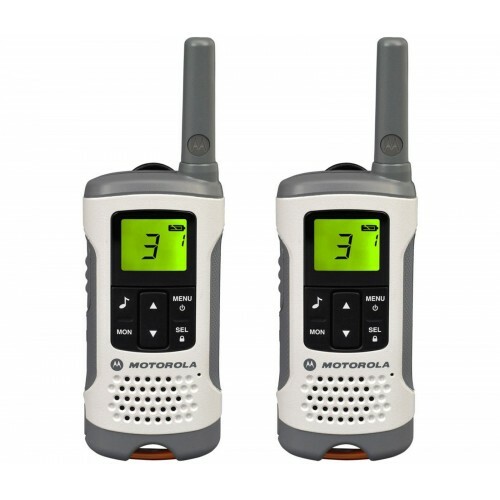 For the price these radios are brilliant. Easy to use and the range is relatively good. If you want telephone quality sound these are not for you, but then, you'll have to spend much more money. We use these to communicate to people around a large farm and they are perfect.